to provide alumni with opportunities to continue building friendships with their classmates and other Reinhardt alumni and friends. 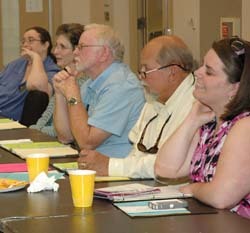 The Alumni Board of Governors assists in planning and carrying out activities for alumni. They spread the good word about Reinhardt in their communities and look for ways to help the University grow. University officials rely on these alumni leaders to provide feedback and suggestions and to provide the alumni point of view. The Alumni Board of Governors also works closely with Development and Alumni Relations/Alumni giving, two Reinhardt offices which specialize in raising scholarship funds.